Two months ago, an API lab tested the pavement of the killer road near Svoge, where today a bus and 15 people died. This was reported by Frog News sources from the General Directorate "National Police". It turned out that the density and traction coefficients were often below the allowable, but nobody bothered to take action. The reason for the tests in the region was the many crashes. For this reason, experts were sent to verify that the asphalt was okay. According to our sources, it resembles the one on playgrounds. It is possible that this has caused the current tragedy. It is unclear whether it will be held responsible for the inaction of the API's office. Ironically, at the end of last week, the Institute for Road Safety has warned that this same road is in a poor condition despite the fact that it is a new pavement. Here's what IPB explained: It's about II-16, which runs through the Iskar Gorge and is just over 81 kilometers long. IPB reminds that besides the people in the area this time is a very important alternative for traffic between Sofia and Vidin when the E-79 is under repair or for other reasons in the direction A-2, I-1 can not be crossed Sofia-Botevgrad-Mezdra-Vratsa). According to the information provided to the Institute, it is also clear that the Road Infrastructure Agency has organized an inspection of the site by committees in order to find out all warranty defects. The views were carried out and the warranty defects available are described. Their removal should be carried out by the contractor of the site, Trace Svoge, planning this to happen before the beginning of the winter season. As of August 3, 2018, the IPB made its inspection and found the following condition of the repaired 22,957,298.00 Euros without VAT route as of 03.08.2018: Destroyed asphalt pavement at the fork in the village of Skaklya. Disturbed asphalt coating near Bov station. In many places the asphalt pavement is compromised and in poor condition. This actually happened less than two years after the completion of the site. 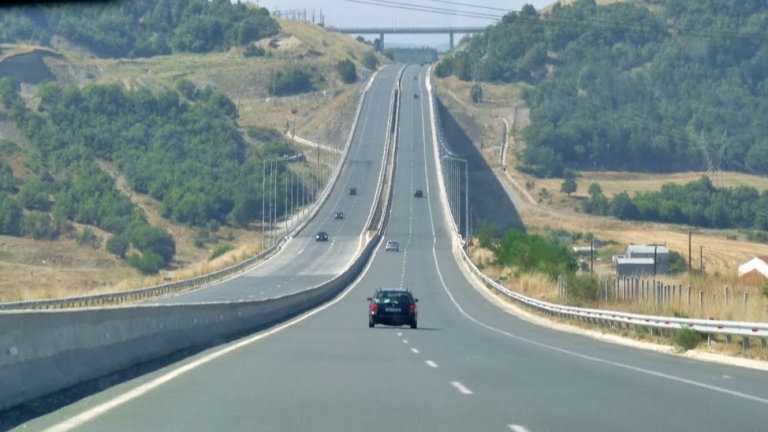 The Institute's experts also questioned whether and how much money was spent on road maintenance with regard to the cleaning of roadside ditches, the replacement of road signs that had been broken and the cutting of bushes since the beginning of this year.